Buy online OnePlus 6T McLaren Edition the best lowest Price in Pakistan. The One Plus 6T McLaren Edition is fueled by octa-center (4×2.8GHz) processor and it accompanies 10GB of RAM. 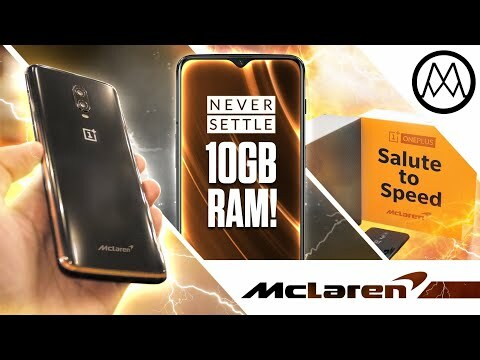 OnePlus 6T McLaren Edition Price in Pakistan is starting from Rs.138,999. Its release/launch date in Pakistan is December 2018 with leaks features and full specs. The phone packs 256GB of inside capacity that can’t be extended. To the extent the cameras are concerned, the One Plus 6T McLaren Edition packs a 16-megapixel (f/1.7, 1.22-micron) essential camera and a 20-megapixel (f/1.7, 1-micron) auxiliary camera on the back and a 16-megapixel front shooter for selfies. The One Plus 6T McLaren Edition is a Dual-SIM (GSM and GSM) cell phone that acknowledges Nano-SIM and Nano-SIM. Check out the full Specifications including Camera, Colors, Images or Pictures and all other Features. Availability alternatives incorporate Wi-Fi, GPS, Bluetooth, NFC, USB OTG, USB Type-C, Active 4G on both SIM cards, 3G and. You can buy online in Pakistan easily from here. Share OnePlus 6T McLaren Edition Mobile Price in Pakistan with your friends and family, the mobile is available here. You can buy from different stores online in Pakistan. This product is available in Ishopping, Telemart, Homeshopping. At ishopping.pk you can purchase OnePlus 6T 256GB 10GB Dual Sim McLaren Edition for only PKR.127,499, which is 9% less than the cost in Homeshopping (PKR.139,999). The lowest price of Mobile Phone & Tablets was obtained on April 13, 2019 3:58 pm.